As I left the store, I waved and went out to scrape crusted snow and ice off the windshield for the millionth time. 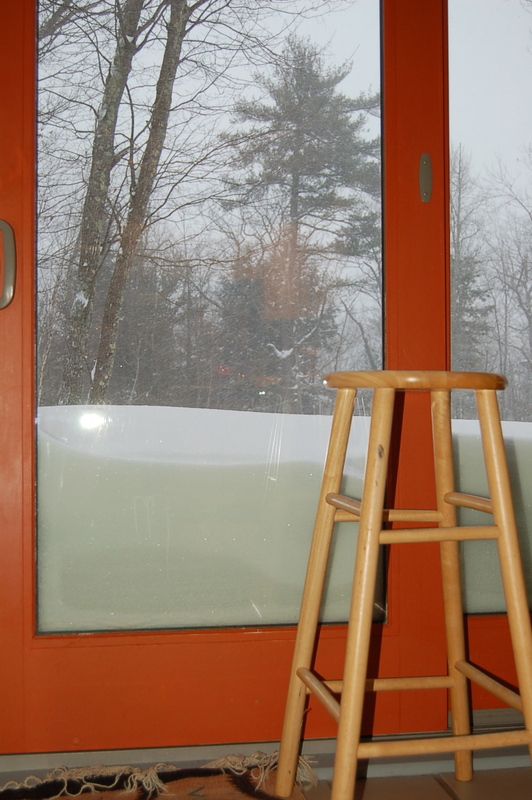 The funny thing about the snow is how we all eventually do just get over it. We drive slowly, attempt to be courteous and we get on with life despite the inconveniences. The schools reopen and though the roads have narrowed considerably the world moves forward. 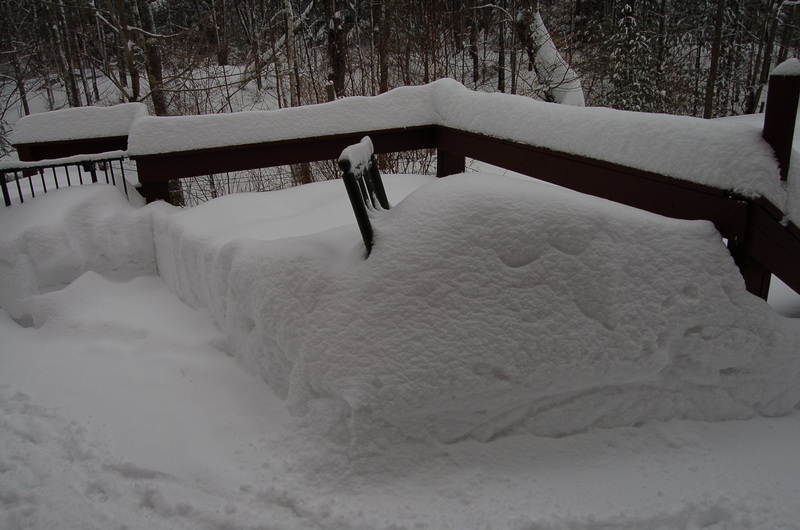 For all that we have sensationalized the storms this winter, I think a look back at very recent history would show this is pretty normal for New Hampshire winters. 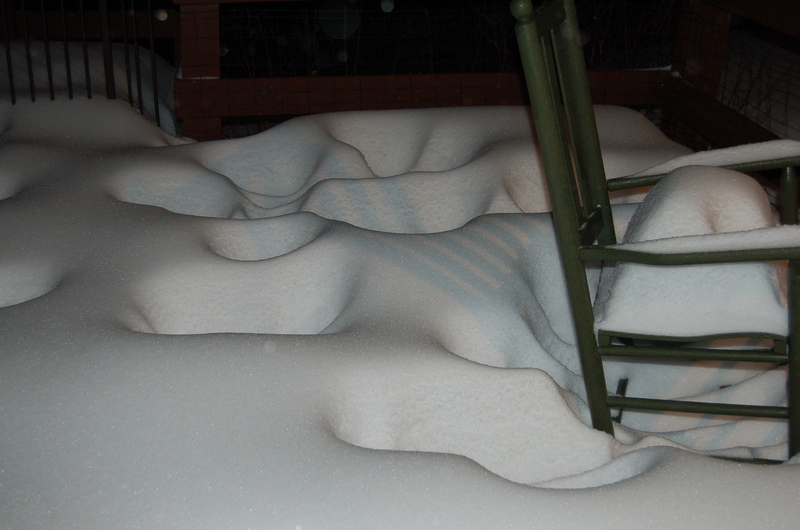 This was the “moon-scape” of my back deck three days ago. 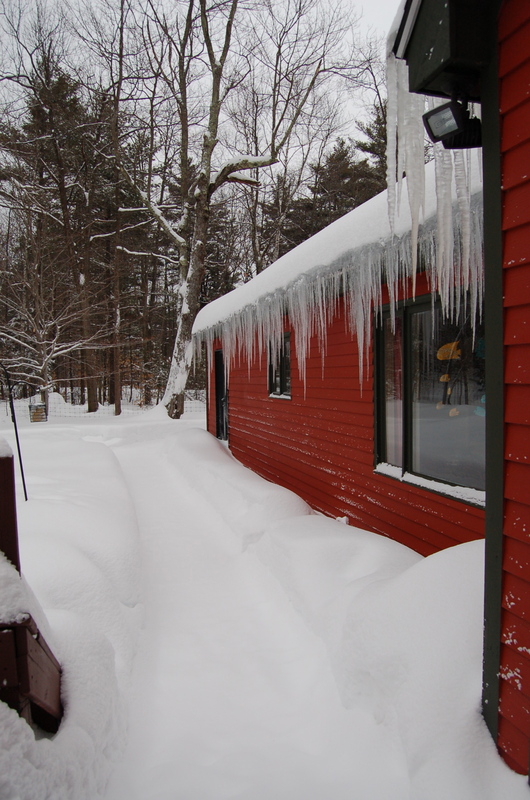 We shovel and plow, we use leaf-blowers on the light stuff and rake our roofs to prevent ice dams. If you are lucky enough to have a garage, you vehicle might shed some of the ice that builds up after every trip down the road. Unfortunately, that too must be shoveled out of the garage. 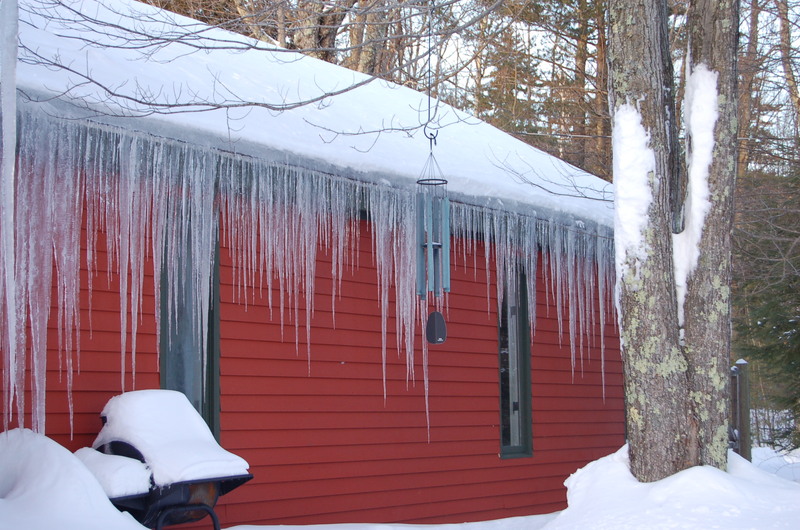 Icicles grow to epic proportions on the unused wing of my house, shielding the windows and darkening the rooms. 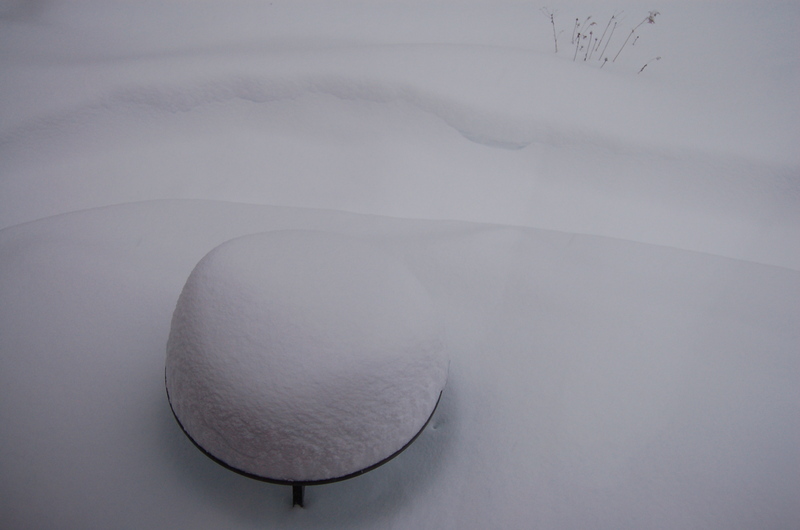 The beauty in the patterns snow creates is ever-changing. This entry was posted in Lifestyle. Tagged New Hampshire, snow, winter, winter in New Hampshire. I’m not sorry I am missing all that wonderful NE weather. 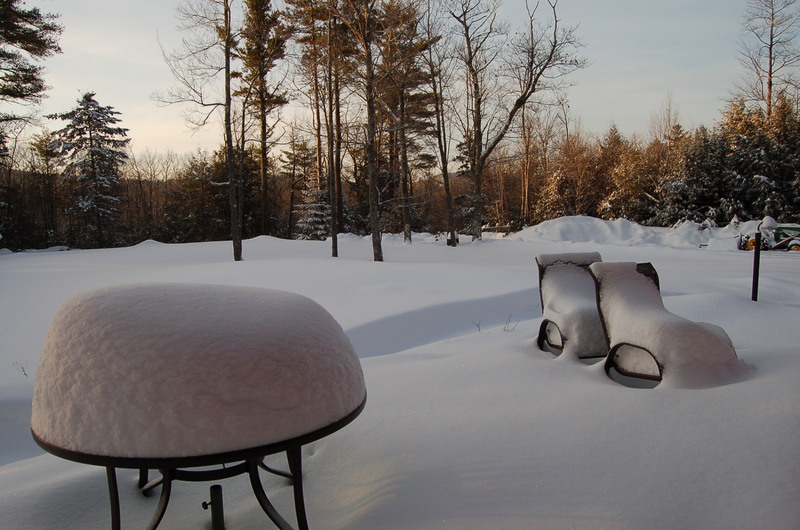 Not to rub it in (ha ha) but it was 73 here yesterday. You can smack me when I get home lol. Saving a giant smack down for you. I loved your latest post of the botanical gardens…way to rub it in! When I was a kid it seemed like every winter was like this one. I think we’ve gotten off easy over the last 4 or 5 years. Until now.